An introduction to programming using Python, one of the best languages for beginners. Allen B. Downey wrote:How to Think... is a Free Book available under the GNU Free Documentation License. Readers are free to copy and distribute the text; they are also free to modify it, which allows them to adapt the book to different needs, and to help develop new material. 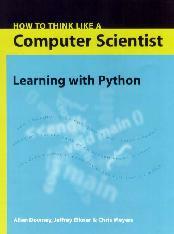 Jeffrey Elkner wrote:This book was based on Allen Downey's How to Think Like a Computer Scientist, a clear and helpful first-year computer science textbook, which was also released under GNU Free Documentation License. The book's goal is to teach you to think like a computer scientist. This way of thinking combines some of the best features of mathematics, engineering, and natural science. Python was chosen to translate Allen's original Java version because it provides a really nice balance between the practical and the conceptual. Since Python is interpreted, beginners can pick up the language and start doing neat things almost immediately without getting lost in the problems of compilation and linking. Furthermore, Python comes with a large library of modules that can be used to do all sorts of tasks ranging from web-programming to graphics. Having such a practical focus is a great way to engage students and it allows them to complete significant projects. 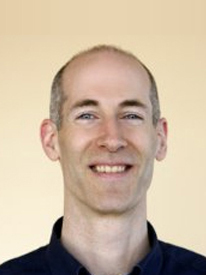 Allen B. Downey (born May 11, 1967) is an American computer scientist, Professor of Computer Science at the Franklin W. Olin College of Engineering and writer of free textbooks. Downey received in 1989 his BS and in 1990 his MA, both in Civil Engineering from the Massachusetts Institute of Technology, and his PhD in Computer Science from the University of California at Berkeley in 1997. 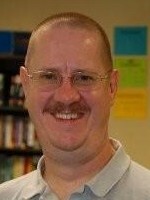 Adjunct faculty member in information technology and computer science at Northern Virginia Community College with 20+ years experience teaching high school computer science, information technology, and mathematics using a constructivist approach. 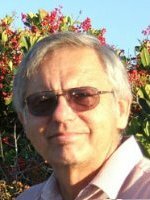 A retired programmer living in Germany, Meyers held the position of Assistant IT Director and Senior Programmer at The Register-Guard until 2012.